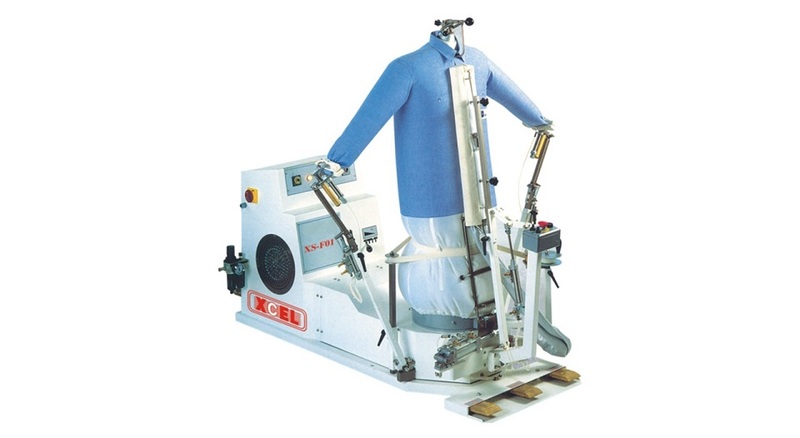 "Ideal for small dry cleaning shops & laundry "
Ideal for finishing Jackets, shirts, ladies dresses, skirts, embroidery and sequential garments. It works on steaming and drying cycles controlled by timers. Comes with an adjustable shoulder. 3Ph, 01 hp blower motor, steam pressure 5.0 bar, steam consumption 20-30 kg/hr. Pneumatically operated for finishing cuffs without marks.